The very last day of September sees the commemoration on the Irish calendars of a Saint Brigid, who is otherwise left unidentified. Canon O'Hanlon identifies the two main candidates who may claim to be commemorated on this day. The first is a holy woman mentioned in the Life of Saint Senan (feastday 8th March) and the second an unknown female saint associated with a holy well and church at Kilbreedy (literally 'Brigid's church') in County Laois (or Queen's County as it was called in O'Hanlon's time). I am not sure that he really proves either case convincingly, but this mystery Saint Brigid is a good example of the large number of Irish saints who are recorded in our martyrologies without any further clues to their identity. St. Brigid, of Cluainfidhe, or perhaps of Kilbreedy, Queen's County. In the published Martyrology of Tallagh, the feast of St. Brigitta is thus simply recorded, at the 30th of September. In the Book of Leinster copy, at this day, there is a similar entry. Without any further designation, Brigit is entered in the Feilire of Marianus O'Gorman, at this day. In the Martyrology of Charles Maguire, as in the Martyrologies of Tallagh and of Marianus O'Gorman, the feast of a St. Brigid is entered at the 30th of September. Among the holy women, who are recorded as having flourished in the Irish church, there is a St. Brigid, who was daughter to Conchraid, and she belonged to the family of Mactail. Colgan says, this family seems to have been derived, from the Kings of Munster, having issued from the race of Oengus, King over that province. From this line, St. Mactail the Bishop was descended. Or perhaps, the family of Mactail was derived from the O'Brien sept. Cassius, surnamed Tallins, had several sons, among whom were Blodius, Cassius, Sedneus, and Delbatius. Hence it happens, that some one of these, or of their posterity—especially Blodius' children, who inherited the chieftainship—might be considered as belonging to the family of Mactail. The word itself signifies son of Tallius. If Colgan's conjecture be correct, those circumstances connected with the family and place of her residence point out St. Brigid, who is venerated on the 30th of September, as the one mentioned in St. Senan's Second Life. From it we are able to procure the following account of her. We are told there, how St. Brigid, a holy virgin, had established herself in a cell, on the banks of the river Shannon, and at a place, called Clain in fidi, or Cluainfidhe. Whilst there, she had prepared a cloak or chasuble for St. Senan, which she desired sent to him, but had not the necessary means for transport. However, she covered the vestment with hay, and having placed it, with some letters, in an osier basket, which floated out on the river, the result was committed to a providential issue. The letters were directed to St. Senan, and contained a request, that he would send the Most Holy Sacrament to her. By a miracle of Divine Providence, and without any human direction, the basket floated out into the bed of the Shannon, which at this point was very wide; and, at length it landed on the Island shore, near the church of St. Senan. This circumstance, being revealed to the holy man, he called one of his disciples, who was a Deacon. He was desired to bring the basket, which lay on the shore, to the monastery. Having fulfilled such orders, Senan took the vestment and letters contained in the basket. He then placed therein, as we are told, two portions of salt and a pixis containing the Sacred Host. He next ordered, in the name of God, to whom every creature owes obedience, that the basket should return by the same way it had come, and restore to St. Brigid one of the lumps of salt and the pixis it contained ; and that it should bear the other portion of salt, to St. Diermit, who dwelt in the monastery of Inis-clothrand. According to St. Senan's mandate, the basket returned to St. Brigid. She took out therefrom the pixis, and one of the salt portions. Before she had time to remove the other, the basket was carried off by motion of the water; and it sailed, by a direct course, against the river's current until it arrived at Inisclothrand. Having understood what had occurred through a Divine revelation, St. Diermit went forth, and brought the basket to his monastery with much joy. He gave thanks to God, for the wonder wrought through his holy servant, St. Senan. Of the thirteen saints bearing this name, as mentioned by our Irish Martyrologists, Colgan supposed the circumstance already related can only apply to that St. Brigid, who was venerated on the 30th of September. However, in the Third and Fourth Lives of St. Brigid, such anecdote was transferred to her, with this variation, that the basket or box was entrusted to the ocean, and had to pass over a very great round and extent of sea. Such a transaction—in which there is nothing improbable—was transformed into a marvellous story, which has probably helped to give rise to the opinion, that Senan was established at Inniscatthy before the death of St. Brigid. A St. Brighit, or Bride, seems to have been venerated in the Parish of Bordwell, Queen's County. There had been a pattern at a Bride's Well, not far from the old church and castle of Kilbreedy, and it was held between the close of harvest and the month of November. Of this I was assured by an old man— in 1870 considerably over 80 years of age— but he could not recollect the exact day on which the pattern had been kept. No other saint bearing the name of Brigid seems so likely to correspond with her to whom allusion has been here made. The old church of Kilbreedy lies about a mile from Rathdowney. Measured outside the old walls, it is 50 feet in length, by 24 feet in breadth. The walls of limestone are nearly four feet in thickness, and were well built, but only the lower portions now remain. The church and grave-yard are evidently very ancient ; but both have been enclosed by a modern and well-built wall, with an iron-gate set up for entrance. Many graves and magnificent hawthorn trees are within the grave-yard enclosure. The remarkable fort of Middlemount rises to a considerable elevation, at some little distance, and on the opposite side of the high road. Concentric and diminishing circular fosses surround it, and ascend to the terminating irregular cone. The festival of Brighit is set down, without further clue for identification, in the Martyrology of Donegal, at the 30th day of September. ST. MURGHAL, ABBOT OF RATHLIN, COUNTY OF ANTRIM. In very remote situations, many of our Irish saints chose to remove from the world, to avoid its temptations and snares. In the published Martyrology of Tallagh, we find simply the entry Murgail, at the 29th of September. A similar entry is in the Book of Leinster copy. The Feilire of Marianus O'Gorman enters Murgal, at this date, and a commentator adds, that he was the son of Uinnid, and abbot of Rechrann. This is now the Island of Rathlin, off the northern coast of Antrim. Sometimes the name of Murgal's father is written Nenned. Our saint was probably born before or soon after the commencement of the eighth century. At a remote period, and early in the seventh century, a monastic institution had been there established at Rathlin, by St. Segene, Abbot of Iona, A.D. 630, or a little later. The succession of its Abbots has been given by Colgan. There, or perhaps at Iona, our saint had been religiously trained in monastic studies and religious discipline. He appears to have immediately succeeded as Abbot to St. Cobthach, who died A.D. 743, about twenty years before the period assigned for his own departure to bliss. The "Annals of the Four Masters" place his death at the year 764. According to the Annals of Ulster, he died A.D. 768, with which date the O'Clerys agree, and state, that he departed on the 29th of September. Additional particulars are recorded at the same date in the Martyrology of Donegal. There he is mentioned as Murghal, son of Niunidh, Abbot of Rechrainn. 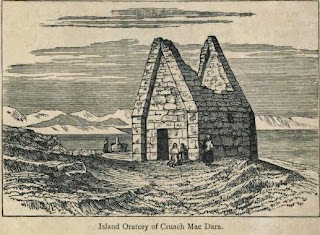 ST. SINACH MAC DARA, OF INIS CRUACH MAC DARA, COUNTY OF GALWAY. OF this holy anchorite little is positively known, and yet his name and veneration have survived for many ages. He is much venerated by inhabitants on the western shores of Galway. He must have flourished at a very early period, however, and most probably at a time, when his remote position secluded him from cognizance of our ancient chroniclers. Tradition asserts, that the name of our Saint's father was Dara ; and Sinach, his own peculiar name, was placed before Mac Dara, that by which he is now popularly known. However, the St. Mac Dara of the western coasts should be called Sionnach, which was his real name. At the 28th of September, Marianus O'Gorman sets down Sinach in his Festilogy. His commentator has a note appended to his name which states, that he was from Cruach mac Daro. From other Irish Martyrologies regarding this saint, we can glean no particulars. On the south-western shore of a peninsula, anciently called Iorrasainteach, lies a small Island, presenting to the sea on all sides rocks which are high and precipitous, except towards the eastern part, where boats can safely touch. The appearance of this Island from a distance, coupled with its relation to our saint, gave it the name of Cruach Mac Dara, which when anglicised means, "The Rick of Mac Dara," or ''The Island of Mac Dara." Near the landing place on this Island, St. Sinach Mac Dara is supposed to have built a small stone church, the ruins of which yet remain, and are in a good state of preservation. Besides this ruin, a circular or rather oval stone-house, twenty-four feet by eighteen, with walls seven feet in thickness, is yet to be seen, although in a very dilapidated condition. This was probably our saint's usual habitation, and the church might have been chiefly in use, as an oratory. At the distance of 300 feet from this church, and on its northern side, a square altar, surmounted by a cross, and a holy well near it, are pointed out to strangers. Both are dedicated to St. Mac Dara. He seems to have led a secluded life on the Island bearing his name, and one devoted to the practice of most austere religious rules and duties. According to a custom, usual in our old Irish churches, the wooden statue of this saint was preserved in his chapel for many centuries subsequent to his death—this image being commemorative of the founder and patron, whose intercession was invoked. However, for special weighty reasons, the Archbishop of Tuam, Malachy Queely, caused its removal during the time of his incumbency, and had it buried under the ground. Besides the veneration paid our saint on this Island, the inhabitants of Moyrus Parish, on the shore of the opposite mainland, point out the ruins of an old parish church, which is dedicated to him. There, in the time of Roderick O'Flaherty, [i.e. the 17th century] "his altar stone, by the name of Leac Sinach," was kept as a venerable relic... Here, the coast inhabitants, who are principally fishermen, assemble on the 16th of July each year, to celebrate the festival of their patron of Moyrus parish. At this date, however, we find no mention of Sinach Mac Dara, in our Martyrologies. The principal festival of our saint is noted in the Irish Calendar, as occurring on the 28th day of September. This day may probably be assigned, as that for his departure. Many miraculous occurrences are recorded, and some superstitious observances are said to have been practised in connection with this saint's memory by recurring to local tradition. One of the latter practices was the collection of Dunleasg or salt sea-leaf, at low water, by women, in order to obtain the release of some friend in captivity: this reprieve, however, they expected should be obtained chiefly through the intercession of our saint. This practice of gathering Dunleasg has been disused for many years past ; although old people are yet living, who remember its frequent observance. In the time of Roderick O' Flaherty, it was customary for all boats, passing between Mason-head and the Island, to lower their sails three times, in honour of Mac Dara. In the year 1672, a certain captain of Galway garrison, passing without the usual mark of reverence, experienced such a violent gale, that he made a vow of never again sailing by without a proper obeisance; he was shipwrecked shortly afterwards, and never reached his destination. One Gill, a fisherman of Galway, during the prevalence of fair weather before and after the occurrence, was struck dead almost instantaneously, by a stroke from the mast of his own boat, when it fell on his head. This accident, like the former, was attributed to that contempt shown towards our saint by a departure from the time-honoured custom. His altar-stone, called " Leac Shinac," was said to have been preserved to the middle of the present century ; but its whereabouts is not now known. The name Mac Dara is a very common prefix to surnames of many Islanders and borderers, on the Galway coast, and even boats and hookers belonging to its fishermen are inscribed with the name, in token of veneration for our saint. Colgan promised to treat about St. Lupita, at the 27th of September, but he did not live to redeem that promise. The Bollandists, who have a notice of Lupita at the 27th of September, remark, that while some writers style her a widow and others a virgin, they do not find her name on the Kalendar list of other saints, nor have they indications of her public cultus. As we learn in the various Lives of St. Patrick, this pious woman, Lupait or Lupita, was sister to our great Apostle… The various Lives of St. Patrick contain some accounts regarding her, yet they are of a doubtful and unsatisfactory nature. The earliest account we have of Lupita leads to the inference, that as she was sister to St. Patrick, that her parents were Calphurnius and Conchessa, and that she was born in Nemthor. A miracle is recorded, on a particular occasion, when with her brother, St. Patrick, both were engaged in herding sheep. This appears to have happened in Nemthur, when they were young. Endeavouring to prevent the lambs from approaching the ewes, they ran swiftly, and the girl falling, her head struck against a stone, which caused a fracture, that endangered her life. Patrick at first wept bitterly; but raising his sister from the ground, he made a sign of the cross over the wound, which immediately was healed. However, in after time a white mark remained, to show where it had been. Both returned home, as if no accident happened. It is said, St. Lupita had been made a captive, with her brother, St. Patrick, when some pirate vessels, conducted by the seven sons of Factmud, a king of the Britons, touched in British Armorica. The Tripartite Life of St. Patrick states, that two of his sisters—Lupita and Tigrida—were taken with him, and sold as slaves, in the northern parts of Ireland. Another Life records only the capture of his sister Lupita, with others, who were sold there, when the Apostle of Ireland was only seven years old. It seems difficult—if not impossible—to reconcile the various discrepancies of narrative in the many Lives of St. Patrick. In that Book on the Mothers of the Irish Saints, attributed to Aengus the Culdee, it is stated that Lupait, the sister of St. Patrick, was the mother of seven sons, named respectively Sechnall, Nechtan, Dabonna, Mogornan, Darigoc, Ausille, and the Priest Lugnath or Lugna. It has been asserted, that Lupait is an error for the true name of Liemania or Liamain. This is sought to be verified, owing to the discovery of a very ancient tombstone, which bears an inscription supposed to identify it with one of her sons named Lugnad or Lugna. This St. Lugna or Lugnath is set down as the luamaire or "pilot" of St. Patrick. It is thought, that while the Apostle was in the western part of Connaught, with a sister named Nitria and fifteen disciples called Franks, he may have appointed one of these, and he, Lugnat, to a station on Lough Mask, in the immediate neighbourhood of Inchaguile, where the tomb to which allusion has been made was found. As already stated, in the Life of St. Patrick, Liemania's husband was called Restitutus Hua-Baird or Longobardus, because he belonged to the nation of the Lombards; yet it is supposed from her parentage, she could not have been the Sister of St, Patrick. Neither is the name or feast of Liemania to be found in our Irish Calendars, if she is distinguishable from Lupit or Lupita. She was sold in the district known as Connallia Murthemnensis or Conaille Muirthemne, now that part of the County Louth, extending from the Cuailgne or Cooley mountains to the River Boyne. The Tripartite Life of St. Patrick states, that while he had been sold to Milchon, son to Buan, the dynast of Dalaradia, his two sisters Lupita and Tigrida were sold in the territory of Conall Murthemne. Nevertheless, St. Patrick knew not of his sisters' captivity; neither did they of their brother's servitude. A curious romantic legend is told about her being brought as a spouse by Milchuo, to her brother St Patrick, who owing to the white mark caused through the wound already alluded to recognised her as his sister. According to one account, St. Patrick had five sisters, and of these Lupait, who is first named, is said to have been a virgin. While in Ireland, Lupita lived for a time with her nephew, St. Mel, Bishop of Ardagh, so that she might profit by his teaching and example, in the exercise of a spiritual life. Although this was in accordance with a custom of the primitive church, it gave scandal to some; and while St. Patrick was in the southern part of Teffia, he resolved on visiting St. Mel, to ascertain whether any truth could be in the rumours spread abroad, which however the Irish Apostle did not credit. A miracle wrought in their favour satisfied him regarding the innocence of his sister and her nephew. Nevertheless, he deemed it advisable, that both should live in separate houses, saying: “Men should dwell apart from women, lest occasion of scandal arise for the weak, and lest our Lord's name be injured through us, which God avert." Whereupon he ordered that Mel should live at Ardagh, and Lupita at Druimheo, to the east of a mountain called Brileith, which separated both places. Lupait founded a monastery for religious women on the eastern side of Armagh, but at what period is not stated. It seems probable, the selection of such a site was owing to a desire she naturally entertained, that it might have the advantage of St. Patrick's supervision and direction. From him also, it is said she received the veil. There was a church, called Temple na fearta, near the city of Armagh, and, according to Harris a nunnery was there founded by St. Patrick, in the fifth century. It is said, St. Patrick employed his sister Lupita in weaving or embroidering vestments and in arranging linens, for altar purposes. In this work she was assisted by other holy virgins. In Ussher's Tripartite version, it is said, that St. Lupita was buried at the eastern side of the city of Armagh. By some writers, the place has been called Temple na Fearta. Others place her remains at Armagh. But, as the former place is very near the latter, this difference of statement can be easily reconciled. 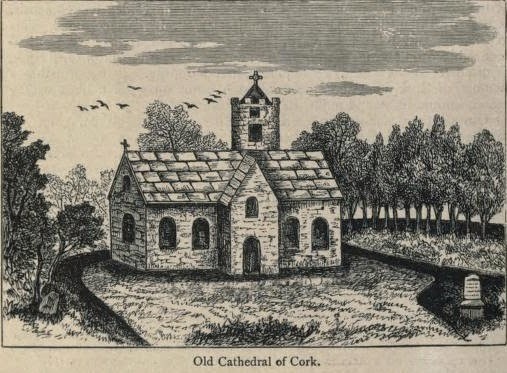 The following curious account is given by Ward, that about the middle of the seventeenth century, the body of St. Lupita was found in an upright position, and between two crosses, one before and the other behind, while these remains were buried under the ruins of the old church of Temple Fartagh. Her festival was held, on the 27th of September—although not set down in the O'Clery's Calendar—at Innis-Lothair. This place is said to be identical with Inish-Lirroo, or Inish Lougher, on Lough Erne. It lies within the parish of Devenish, in the barony of Magheraboy, and in the County of Fermanagh. At the 27th of September, the feast of Lupita, a virgin, is recorded in Thomas Dempster's "Menologium Scoticum," although in his allusion to her in another work, while stating that she flourished in 592, he says the day for her cultus is uncertain. We are informed by Ferrarius, that the holy Virgin, Lupita, was venerated in Ireland, on the 27th of September. Arturus and Castellan enter, at this date, the celebration of Lupita's feast. "Colman Ela, son of Beogna, son of Mochta, son of Cuinned, of Land Ela." Then is added in Latin, that Ela was the name of a woman who lived there before St. Colman, or Ela was the proper name of a river near to his church. Then we have the Scriptural verse: "Colman ela dixit exsurgam diluculo, confitebor Domino, quia non est inane sperare in Domino." In a second note there is a repetition of the conjecture regarding the local nomenclature. In Irish there is an added note, thus translated into English: "A John was he, i.e., like is he unto John for wisdom and virginity." This saint's parents belonged to Meath and were of a noble race. They were known as the family of Mocusailni. St. Colman was the son of Beognai, sometimes written Beagni. He belonged to the race of Eochaidh, Eocho Mairedha, son to Muireadh. and he sprang from the descendants of Heremon. His mother was Mor, daughter to Feidhlimidh, and sister of St. Columba, according to the O'Clerys. Feidhlemidh was twenty-second in descent from Fedhlim Saillne, the head of the Dal-Selli, and -from whom this Colman derived his tribe name, Mac-U-Sailni, but from a nearer progenitor. In some cases, our saint is called Colmanus Episcopus Mac-U-Sailne, or Mocusailni from his tribe name. He is called also Columbanus Filius Beogni, from his father Beogna. ..
We are told in the Franciscan Life, that when distinguished for holiness, Colman built a monastery, but it is not stated where, and in it he desired to spend his days in heavenly contemplation. Afterwards he left it in charge of four disciples. He requested them to remain there, and such injunction they fulfilled, although suffering from dire want. The total privation of food at last caused their death. It is related, that he restored dead persons to life, and among these was a youth who afterwards devoted himself to the saint's service, in which he continued to his old age. His intervention also restored peace to hostile clans. When travelling one day in a chariot, Colman came to a river, called Dabhall or Dabul, which at the time had been swollen to a torrent, yet he drove forward and passed it in safety. Again, he visited the cell of a holy virgin, named Lasara, and there an incredible miracle is recorded as having taken place. At Connor, it is stated, St. Colman Ela made some stay. In such a manner were his virtues and miracles manifested, that in following ages he was honoured and esteemed as second patron of that city... After some time, giving his blessing to that people, Colman Eala left Connor, it is said, and came into his own ancestral country of Meath, It seems likely, that he had there established for himself a mission, and a character for great sanctity, before he resolved on visiting his near relative St. Columba in the Island of Iona. 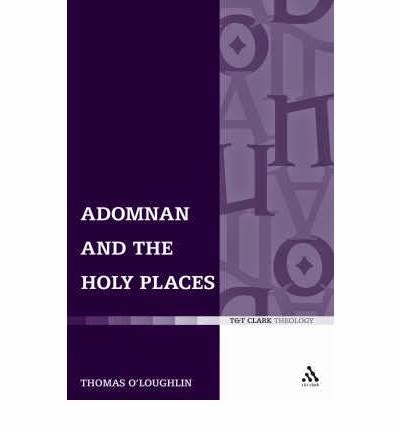 In Adamnan's Life there are two distinct accounts of our saint having been on a voyage to that Island, and again of having departed from it, on the very year of St. Columba's death. ...the great Abbot of that place being one day in his church, and having the gift of second sight, broke forth in a joyous exclamation : "Columbanus, the son of Beognai, who started on his voyage to us, is now imperilled in the turbulent waters of Brecan's Charybdis ; but sitting on the prow of his ship and lifting both his hands to Heaven, he blesses the formidable waves. Nor doth the Lord thus affright him, as if he dreaded shipwreck, but to cause him more fervently to pray, and that he may come providentially to us having escaped that danger." 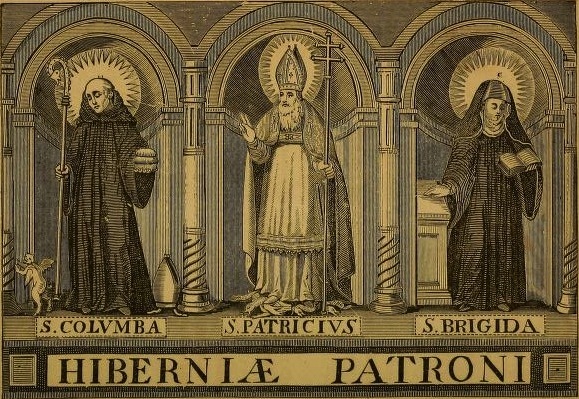 … The "Vita Sanctissimi Colmani Ela" adds to the foregoing account, that when Colman and his brethren safely arrived in Iona, the monks on that Island greatly rejoiced, and Columba said to him, " Brother Colman, do not feel dissatisfied, that you go not to teach distant nations, but return again to Hybernia, the land of your birth, and feed your nation by word and example with the grace given you by God. For of necessity, I have been brought hither, but I beseech you not to absent yourself and deprive your land of your teaching." Having received such admonition, Colman returned with a favouring wind to Ireland. When in his infirmity, the day of his departure approached, St. Kartaius, also called Mochuda, who lived in Rathen,and other monks in the adjoining country, came to visit him. On their arrival, St. Colman said to them : "Know, my brothers, that I have preferred my prayers to God, and have obtained from Him, that whosoever shall pray to me in his last moments shall have life eternal, and whosoever shall observe religiously the day of my departure shall obtain mercy." Saying these words, his spirit passed into the keeping of Angels who brought it to the mansions of everlasting happiness. It is generally held, that St. Colman Eala died on the 26th of September, a.d. 610, in the fifty-sixth year of his age. Such is the year assigned for it by the Annals of Ulster and of the Four Masters, while Tigernach has a.d. 611. After the death of St. Colman, one of his monks, who served those building his church, was murdered by certain robbers, but when his body had been brought for interment, some of his religious brothers laid the crozier of their founder over his remains, when he immediately arose living and unharmed. When the sacred remains of St. Colman had crumbled to dust and only his bones remained in the grave, the holy man appeared in a vision to some of his brethren, desiring that his relics should be raised from earth to be deposited in a shrine. Accordingly this command was complied with ; a suitable shrine was prepared, and into it the remains were transferred with great solemnity and honour. The clergy and people assembled on this occasion in great numbers. 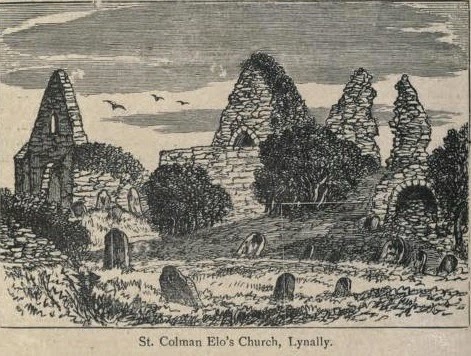 In the seventeenth century the staff of St. Colman Eala was still to be found. This holy Abbot is commemorated in our Irish Calendars, at the present day. We have already seen, that he had been commemorated in the Martyrology of Tallagh and in the Festilogy of Oengus. At the 26th of September, Marianus O'Gorman records the festival of St. Colman Ela with an eulogy " beautiful Colman Ela, whom I meet protecting me like a bush." He is also recorded in the Martyrology of Donegal, at the same date, as Colman Eala, Abbot of Lann Elo, in Fir-Ceall, in West Meath. St. Colman Elo had an Office of Nine Lessons. Like so many other Irish religious, this holy Abbot founded a monastery and school for other men who aspired to perfection, and as their superior his life led among them was so perfect a model of all virtues, that they needed no other rule for their guidance. In his countenance, as in his training and habits, in his speech, as in his whole behaviour, his disciples saw what they were to embrace, and what they were to avoid, in order to acquire the theory and practice of their holy state. His monastery, to which many resorted from all parts, attracted by the fame of his sanctity, and desiring to consecrate themselves to the love and service of God, observing his conduct and discipline, continued to flourish long after his time, under a succession of devout superiors and their monks habituated to regular rules. Beginning with an account of the spread of the cult of St Finbarr countrywide from its probable place of origin in the North of Ireland, the author traces the history of the church and diocese of Cork down to about 1200, when the local bishop commissioned the earliest known Life of the saint. The historical circumstances that gave rise to the production of this Life, and of those that followed it, are then discussed in detail. Although spurious in almost every respect, the veracity of the biography composed for the saint remained in the main unchallenged until Professor Ó Riain reexamined it. The site of the present city of Cork was, in the beginning of the sixth century, a low, marshy tract, through the centre of which flowed the waters of the Lee. When this river overflowed its banks the whole country presented the appearance of an immense lake, which was called in those early times Lough Eirce. Any one whom he would not relieve, "
To the ancient list of Irish saints, which illustrates their lives by comparison with the saints of other nations, St. Finbarr, who is styled "Bishop of Minister and Connaught," is placed in parallel with St. Augustine, the apostle of England. For he is blooming-sweet to the poor." The festival of Bairre from Corcach." And the note is added in the Leabhar Breac: "This is the festival of Bairre from Corcach : he was of the race of Brian, son of Eochaidh Muidhmhedhoinn, and it is in Achadh Cill-Clochair, or Drochait, in Aird-Uladh on this day with Bairre." There is evidently an omission in this note, which is thus supplied in the Roman MS. of the felire : "Of the race of Brian Mac Eochaidh M. was Bairre of Corcach, and it is in Achadh Cill-Clochair. or at Drochait in Aird-Uladh, that his festival is kept ; or it is the feast of Iomchadh that is kept in Cill-Clochair at Ard-Uladh on this day with Bairre." Two ancient Latin lives of St. Finbarr were published by Mr. Caulfield in 1864. In the Irish life preserved in the Brussels MSS. the virtues of the saint are thus compendiated : "His humility, his piety, his charity, his abstinence, his prayers by day and by night, won him great privileges : for he was godlike and pure of heart and mind, like Abraham ; mild and well-doing, like Moyses; a psalmist, like David ; wise, like Solomon; firm in the laith, like Peter; devoted to the truth, like Paul the Apostle; and full of the Holy Spirit, like John the Baptist. He was a lion of strength, and an orchard full of apples of sweetness, When the time of his death arrived, after erecting churches and monasteries to God, and appointing over them bishops, priests, and other degrees, and baptising and blessing districts and people, Barra went to Kill na-Cluana (i.e. Cloyne), and with him went Fiana, at the desire of Cormac and Baoithin, where they consecrated two churches. Then he said, ' It is time for me to quit this corporeal prison, and to go to the heavenly King who is now calling me to Himself.' And then Barra was confessed, and received the Holy Sacrament from the hand of Fiana, and his soul went to heaven, at the cross which is in the middle of the Church of Cloyne ; and there came bishops, priests, monks, and disciples, on his death being reported, to honour him. And they took him to Cork, the place of his resurrection, honouring him with psalms and hymns and spiritual songs ; and the angels bore his soul with joy unspeakable to heaven, to the company of the patriarchs, prophets, apostles, and disciples of Jesus Christ, and of the Holy Trinity, the Father, Son, and Holy Ghost." Having governed his monastery and see for seventeen years, St. Finbarr was summoned to his heavenly reward, and the 25th of September is marked in all the ancient calendars for his festival. It was at the monastery of Cloyne, fifteen miles from Cork, that St. Finbarr rested in peace ; but his remains were translated to his own great monastery, and being deposited for a while beneath the monumental cross at his cathedral church, they were subsequently encased in a silver shrine, and exposed to the veneration of the faithful. They were thus preserved till the year 1089, when, as the Annals of Innisfallen relate, "A fleet, with Dermot O'Brien, devastated Cork, and carried away the relics of Barre from Cill-na-Clerich." Are the saints who around it dwell. MONASTICON HIBERNICUM, OR, A SHORT ACCOUNT OF THE ANCIENT MONASTERIES OF IRELAND. St. Foelchu, of Finglas, County of Dublin. Colgan tells us, that among those Saints, who were buried and venerated at Finglas, in the Dublin diocese, may be found a St. Foelchu. The time when he flourished is not known, but it seems to have been remote. His name, place, and feast are solely entered in our calendars. A festival in honour of Failchon of Fionughlass, is set down in the manuscript and published Martyrology of Tallaght. The place where he was venerated, is now a village, about two miles north-east from the present City of Dublin, and in the county of the same name. The foundations of a much older church than the present ruined one are yet traceable around the exterior of its chancel... The feast of Faelchu occurs on the 24th of September, according to the Martyrology of Marianus O'Gorman. His commentator adds, that he was of Fionnghlaisi or Findglas. In the Martyrology of Donegal, his feast is entered, at the 24th of September. September 23 is the feastday of the biographer, successor and kinsman to Saint Colum Cille, Adamnan of Iona. Below is an account of Adamnan's multi-faceted life as abbot, hagiographer, lawmaker and ascetic, excerpted from the 1879 book 'Irish Saints in Great Britain' by the then Bishop of Ossory, P.F. Moran. The piece ends with an account of some of the localities associated with Saint Adamnan (or Eunan as he is also known in Ireland), and the account of the relics that he had collected is particularly interesting. Bishop Moran says that Saint Adamnan was best known among his countrymen for his austerities, his reputation today is as an important writer, most famously of the Life of Saint Columba, but also of a number of other works, including his treatise on the sacred places of the holy land. ..St. Adamnan, whose name is perhaps the brightest that adorns the long roll of the successors of St. Columba. He was born in Ireland, in the south-west of the county of Donegal, in the year 624. A legend connected with his early years represents him as receiving favour and protection from Finnachta, a chief of the southern Hy Niall, and subsequently monarch of Ireland. When the valiant and hospitable monarch ascended the throne, in the year 675, Adamnan who had acquired great fame for learning and sanctity, was invited to his court to become his anmchara or confessor; and he remained there till summoned to the abbacy of lona, on the death of Failbhe, in the year 679. Whilst abbot he repaired the monastery, sending twelve vessels to Lorn for oak trees to furnish the necessary timber. In this work, as Boece relates, he was aided by Maelduin, king of Dalriada, whose death is recorded by Tighernac in the year 590. On two occasions Adamnan proceeded to the court of King Aldfrid of Northumbria. This Prince had lived for many years in exile in Ireland, and Adamnan had become acquainted with him at the court of the Irish monarch; some Irish records even add that he was for some time tutor of Aldfrid, and the intimacy which he thus contracted with him proved serviceable to Ireland in after times. One of the Saxon generals, during Ecgfrid's reign, having landed a body of troops on the Irish coast, had plundered the fertile plain of Magh-Bregha as far as Bealach-duin, and carried off a large number of men and women into captivity. When, soon after, Ecgfrid set out on the fatal expedition against the Picts, in the year 685, he is said by our annalists to have met with his death and overthrow in punishment of the cruelty he had shown to the unoffending inhabitants of Erin. Now that Aldfrid was recalled to the throne of Northumbria, Adamnan, in 686, proceeded on his first mission to that court, to solicit the release of the Irish captives. He was welcomed by the Northumbrian prince, and found a ready answer to his petition. "Adamnan s demand was," thus runs the Irish record, "that a complete restoration of the captives should be made to him, and that no Saxon should ever again go upon a predatory excursion to Erin: and Adamnan brought back all the captives." From the details added in the same narrative we learn the road taken by Adamnan on this occasion. He proceeded in his coracle to the Solway Firth, and landed on the southern shore, "where the strand is long and the flood rapid," and thence pursued his way on foot to the royal residence. Two years later Adamnan undertook a second journey to the court of Aldfrid. The object of this visit is not recorded, but "it probably was some matter of international policy which Adamnan was chosen to negociate." It was during this second visit to Northumbria that Adamnan presented to Aldfrid his invaluable work on the Holy Land, entitled "De Locis Sanctis," a work which Bede can scarcely find words to commend. Adamnan remained for some time in England, and visiting many of its religious homes, became fully acquainted with the correct computation of Easter, of which he soon proved himself a devoted champion. It was on this occasion, too, that he visited the holy abbot Ceolfrid, who, in a letter which is preserved in the Ecclesiastical History of Venerable Bede, took occasion to attest the humility and piety of St. Adamnan, and "the wonderful prudence which he displayed in his actions and words." Adamnan made frequent visits to his native country, and took a prominent part in the synods and conventions of the clergy and princes which were held at this period. The annalists especially record his journey to Ireland in the year 692. At this time the monarch, Finnachta, had incurred the displeasure of the Hy-Niall race by some concessions which he made to the rival clans of Leinster. He had also incurred the displeasure of the clergy, by refusing to the lands of St. Columbkille the privileges which were granted to those of SS. Patrick and Finnian, and Kieran of Clonmacnoise. Adamnan's mission had for its object to restore peace and to heal the dissensions which had arisen. Finnachta, however, would not yield to his counsel and entreaties, wherefore Adamnan prophesied his speedy overthrow and death, which was verified in 695. In the year 697 he again visited Ireland, and obtained the sanction of the Irish princes that men alone should be subject to military service, for hitherto, writes the annalist, the women and the men were alike subject to that law. It is generally supposed that the "Lex Innocentium," with which St. Adamnan's name is linked in all our ancient records, refers to this exemption of women from military service. It seems to me, however, that it further implied that females were not to be subjected to captivity or any of the penalties of warfare. "These are the four chief laws of Erin," writes the Scholiast on St. Aengus in the Laebhar Breac: "Patrick's Law, that the clerics should not be killed; Bridget's Law, that the cattle shall not be killed; Adamnan's Law, that women shall not be killed; and the Law of the Lord's-day, that it be not desecrated." It was in the same year that a great Synod was convened at Tara, at which all the chief ecclesiastics of the Irish Church, with many of the Irish chieftains, took part. St. Adamnan was one of the guiding spirits of this convention, and in connection with it tradition has attached his name to many of the cherished sites which are pointed out on the royal hill of Tara; for instance, the Pavilion of Adamnan, Adamnan's Chair, Adamnan's Mound, and Adamnan's Cross. At this synod, Flann Febhla, archbishop of Armagh, presided, whilst at the head of the laity was Loingsech, monarch of Ireland, and with him were forty-seven chiefs of various territories. The name of Bruide Mac Derili, king of the Picts, is also marked down among the princes present, and it is probable that his friendship for Adamnan led him to take part in this august convention. St. Adamnan's Law was sanctioned on this occasion, and other canons, half civil, half ecclesiastical, which have come down to us bearing the name of St. Adamnan, seem also to have been enacted at this great synod. It was by the order of the clergy and princes thus assembled that the famous collection of canons was made, which is now known as the "Collectio Hibernensis Canonum." The last seven years of St. Adamnan's life were spent in Ireland, and it is affirmed by some that he was at this time consecrated bishop. He died on 23rd of September, 704, in the seventy-seventh year of his age. It was principally for his great austerities that Adamnan was famed among his countrymen, and, indeed, his penitential exercises, as set down in his Irish Life, can be compared only with those of the great fathers and hermits of the Egyptian deserts. For his literary merit he also holds high place amongst the most illustrious of our mediaeval writers. His work De Locis Sanctis, to which I have already referred, was the first after St. Jerome's time which made known to the western world the condition of the holy places, and the sacred traditions of the East regarding them. St. Adamnan had not himself visited Palestine, but a venerable French bishop, named Arculfus, who had spent nine months visiting the holy places, was driven by a storm on the British coast, and being hospitably welcomed in the monastery of lona, Adamnan carefully noted down the facts narrated by him, and arranging them in due order, composed this most important treatise so valuable for all who desire to become acquainted with the scenes of the Gospel narrative, or who seek to explore the history of the cradle lands of our holy Faith. Adamnan's Life of St. Columba has already been frequently referred to in the preceding pages. As regards the early history of North Britain, it is scarcely second to the great work of Venerable Bede. Dr, Forbes styles it "the solitary record of a portion of the history of the Church of Scotland" (Kalendars, pag. 265) ; and Dean Reeves does not hesitate to pronounce it "one of the most important pieces of hagiology in existence." A spirit of piety and filial love for his great patron, St. Columba, may be discerned in every line, and he sketches in it, with the enthusiasm of admiration and the love of a son, an exalted model of spiritual perfection for himself and his beloved brethren , the Irish monks. There is also a very ancient tract in Irish called "The Vision of Adamnan," which under the form of a vision contains a religious discourse on the joys and sufferings which await men in the next world. He mentions as specially condemned to torments those "Airchinnechs who, in the presence of the relics of the saints, administer the gifts and titles of God, but who turn the profits to their own private ends from the strangers and the poor of the Lord." He very explicitly lays down the Catholic doctrine of Purgatory, for he sets before us three classes of those who suffer for a time but "are destined for eternal life, and even in their torments are free from the rule of the demons, whilst those, who are condemned to eternal torments, are subjected to the demons." Having described the joys of Heaven, he adds that "his soul desired to remain in that happy region, but heard from behind him, through the veil, the voice of his guardian angel commanding it to be replaced in the same body from which it had passed, and instructing it to relate in the assemblies and conventions of the laity and clergy the rewards of heaven and the pains of hell, such as the conducting angel had made known to it." St. Adamnan is named in the Festology of St. Aengus, and in all our martyrologies, on the 23rd of September. He, moreover, receives the highest eulogies in our ancient records. The introduction to the Vision, just referred to, styles him the "high sage of the western world." Venerable Bede says that he was "a good and a wise man, and remarkably learned in the knowledge of the Scriptures." The Abbot Ceolfrid calls him "the abbot and renowned priest of the Columbian order." The Martyrology of Donegal, having entered his feast on the 23rd of September, adds that "He was a vessel of wisdom, and a man full of the grace of God and of the knowledge of the Holy Scriptures, and of every other wisdom; a burning lamp, which illuminated and enlightened the west of Europe with the light of virtues and good morals, laws and rules, wisdom and knowledge, humility and self abasement." Alcuin, too, in the verses with which he decorated the church of Tours, mentions St. Adamnan as one of "the renowned fathers and masters of the spiritual life," whose protection he invokes for the faithful. Fordun, in a later age, commemorates him as "adorned with virtues and miracles," whilst the Four Masters sum up his character thus: "Adamnan was a good man, according to the testimony of Bede; for he was tearful, penitent, given to prayer, diligent, ascetic, temperate ; he never used to eat except on Sunday and Thursday ; he made a slave of himself to these virtues; and, moreover, he was wise and learned in the clear understanding of the Holy Scriptures of God." St, Adamnan is honoured in Raphoe and many other churches in Ireland. In Scotland he is patron of Furvie on the east coast of Aberdeen, where a venerable ruin still marks the site of his ancient church; it stands in the middle of a small plantation of stunted firs and alder, on a little eminence gently rising froma swampy bottom, with a rivulet half enclosing it on the south side. The church of Forglen, where the sacred banner of St. Columba, called the Breachbannach, was preserved, was also dedicated to him. At Aboyn, on the north side of the Dee, is a large old tree, called St. Eunan's Tree, at the foot of which is St. Eunan's Well. The islands of Inchkeith and Sanda had sanctuaries dedicated to him, and his memory was also cherished in Tannadice, Killeunan, Dalmeny, and Campsie. The ancient records particularly attest that St. Adamnan, emulating the piety of St. Germain of Paris, made it his care to enrich the monastery of lona with many precious relics of the saints: "Illustrious was this Adamnan; it was by him was gathered the great collection of the relics of the saints into one shrine, and that was the shrine which Cilline Droicthech, son of Dicolla, brought to Erin to make peace and friendship between the Cinel-Conaill and the Cinel-Eoghain." In Lynch's MS. History of Irish Bishops, we are told that Adamnan composed a poem in honour of these relics which he had gathered ; and it is added that he caused two rich shrines to he made for the relics, one of which, with its sacred treasure, was preserved at Ardnagelliganin O' Kane's country, the other at Skreen, in the diocese of Killala. This latter spot still retains many memorials of St. Adamnan. The old church is named from him, and a little to the east of it is his well, from which the townland derives its name of Toberawnaun (Toher-Adhamhnain.) Colgan, citing the Life of St. Forannan, tells us that the parish derived its name of Skreen from this famous shrine of Adamnan, "Scrinium Sancti Adamnani"; and that its church was "noble and venerable for its relics of many saints." The list of the relics preserved in this famous shrine may be seen among the Brussels MSS., and in Lynch's MS. History, already referred to. There were in this sacred treasure particles from the bones of St. Patrick and St. Declan; portions of the cincture of St. Paul the Hermit, of the mantle of St. Martin of Tours, and of the habit of St. Bridget: there was also the head of St. Carthage, and other precious relics of Saint Mochemogue, St. Molua, St. Columba-mac Crimthan, St. Mathan, and other saints. In the same shrine was deposited a MS. copy of the Gospels, as also a collection of Latin and Irish Hymns, the same, probably, as the two MSS. of the Liber Hymnorum, which have fortunately been preserved to our own times. THE present servant of God seems to have been born early in the sixth century. Already has allusion been made to him in the Life of St. Columkille. The parentage of this St. Columb — surnamed Crag—is unknown ; but by Colgan he has been considered identical with a very wise and venerable man, who was the friend of St. Fintan Munnu, in the younger years of the latter, and probably also a spiritual director. However this may be, when Fintan Munnu desired to take a voyage from Derry to Iona, in order to visit St. Columba, he sought the advice of Columb Crag, who then resided at Eanach, and northwards from Derry. By our saint, Fintan was confirmed in that purpose, in the earlier part of June, a.d. 597. Soon arrived monks from Derry, who brought news to Eanach from Iona, that the great archimandrite was dead. All who heard this shed tears in abundance. Nevertheless, when informed, that Columbkille had appointed St. Baithan as his successor, Columb Crag asked Fintan what he then desired to do. The latter replied, that he should still persist in his purpose of going to Iona to place himself under the rule of that pious and wise man Baithen as his Abbot. The Church of Columb Crag was at Enach, in the northern part of Ireland, at this time, when he was regarded as a venerable old man. As to whether he had been a superior of monks we have no record left. About two miles to the north-east of Derry, this church of Enagh— between the two small Loughs of Eastern and Western Enagh —was situated in the present townland of Templetown... At present, there are no ruins or any traditions about St. Columb Crag, at Templetown. There are few townland denominations more numerous in Ireland than those known as Anna, or Annagh—the modern equivalent for Enach. The compounds of this form are still more numerous. It therefore would not be easy of accomplishment to identify this exact locality, but that Colgan gives us a further clue, by calling the present Saint Columba Cragius, superior of Enagh, or the church of Cluainenaich, near Derry, in Ulster. For this statement, too, he cites the authority of Adamnán. St. Columb Crag survived St. Columbkille, but whether or not he lived into the seventh century is unknown. In the Martyrology of Marianus O'Gorman, at the 22nd of September, there is a festival for Colomb, vehement, delightful (?) as the Calendarist pleases to style him; while the scholion observes he was a priest from Enach. According to the Martyrology of Donegal, Colum, Priest of Enach, was venerated at the 22nd of September. In the year 1197, this church of Cluain-i Eanach was plundered by Rostel Pyton, a partisan of John De Courcy and the English of Ulidia, during a predatory excursion. 'Truly' they said, with tears and great sorrow, 'our patron is in the best of health since only a few days ago he departed to Christ'. 'If the Lord will permit me', he answered, 'I shall sail away to Baithéne, who is a holy and wise man. If he will receive me, he shall be my abbot'. Then he kissed Columb and took his leave, preparing to sail without delay to Iona. Richard Sharpe ed. and trans., The Life of Saint Columba, (Penguin Books, 1991), 212-213. In Murbach we are in reach of the famous Alsatian wine route bordering the Rhine. There one should look out for Rouffach, a small town where, on the gentle slope of its vineyards large letters proclaim: CLOS ST LANDELIN. The choicest of Alsatian wines are produced here in Rouffach, and stopping to savour them we honour both saint and proprietor who is proud to greet a guest from Landelin's homeland. Studying his wine-card we read in French: 'Saint Landelin, an Irish prince, came to preach the Gospel. Around the year 640 he suffered the death of martyrdom. 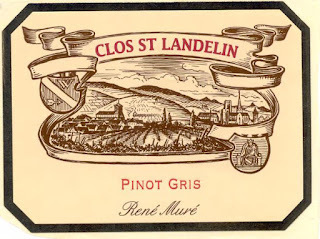 In the eighth century the bishop of Strasbourg donated to the 'Monks of Landelin' stocks cultivated on the best wine-growing slopes of Alsace, since titled 'Saint Landelin's Vineyard'. Today the high altar of St. Landelin's has an oil painting of the 'glorification' of its patron, while a side-altar shows him in a wooden statue as a young man. Only in the baroque period did this youthful image appear; older ones portray Landelin as a mature, bearded man, often crowned in princely robes. On the ceiling his legend is told in seventeen frescoes, the first two of which, starting to the right of the west entrance show the saint's departure from Ireland. It seems that the cult of St. Landelin set in straight after his death at the hands of a local huntsman, infuriated by the conduct of his hounds, which refused to chase deer in the vicinity but became meek and docile when nearing the hermit's cell. The huntsman had the backing of his pagan lord, Gisico, who considered Landelin a sorcerer. There in the glade, where Landelin lay outstretched in his blood, spring water gushed forth from under the severed head and at each limb's extremity. The five sources (some legends say there were four) soon formed a basin, to which the natives resorted, and bathing, found healing there for many ills. Anchorites, settling in the neighbourhood, were gathered together in the early eighth century by the bishop of Strassburg to form a colony and provide for the increasing number of pilgrims to the spot. Out of this the first cella monachorum grew, with time, the impressive resort we find there now. It was Etto (Eddo), the succeeding bishop of Strassburg in the eighth century, who caused another monastery to be erected a little further up the valley for thirty Benedictines. Etto was deeply impressed by the miracles at the well, over which he had a new sanctuary built. His interest may reflect Irish sympathies for, before becoming bishop of Strassburg, he was abbot of Reichenau, in direct succession to Pirmin. Etto's monastery, built in honour of Landelin, was given the name of its founder - Monachium divi Ettonis - and became 'Ettenheim-Munster'. Incorporating the pilgrim church of St Landelin's, it cherished the saint's memory through more than a thousand troubled years. Nothing remains but a monastery wall of this once great seat of learning, a centre of theology and music, which radiated into the Rhine valley and influenced its spiritual and cultural life for centuries. The percussions caused by the French Revolution and the Secularization of 1803 saw its library scattered, its archives in ashes, its monks finally dispersed and the huge complex razed to the ground after having served as a a factory. This all has left us with a great void, concerning Ettenheimmunster's early history and also that of its Irish patron saint. Of the few items salvaged from the abbey after confiscation in 1803 the most precious was the bust reliquary of Landeling, made in 1506 as a recipient for the saint's skull. It was taken to the pilgrim church of St. Landelin, acting from then on as the parish church, and is kept in the sacristy. It is exposed on special occasions. That it was saved goes to the credit of an undaunted parish priest, pouring condemnation on the heads of those involved in transporting the bust on a cart to the smelting foundry. To eschew the fires of hell they unloaded it, dropping it into a ditch. Crossing the Rhine, into the wilds of the Alemanni, Landelin makes his first stop at the house of a certain Edulf, where the village of Altdorf now stands, at the foot of the northern Black Forest range. Here he wanders off up the valley of the Undiz to where it is joined by the Luttenbach, a little stream - today Lautenbach - and builds himself a hut in the forest glade. Animals befriend him, especially deer, who brings him food. There fate overtakes him. Full of misgivings, Edulf's wife and three daughters set out from Altdorf to search for Landelin, accompanied by a guide. One of the daughters is blind, and when they come across the body of the murdered hermit, she is left behind weeping, while the others go for help. She touches her eyes with fingers stained from Landelin's blood, and her eyesight is restored. Returning with the intention of bringing their friend's corpse back and over the Rhine to receive a Christian burial, which could not be afforded on the right side of the river, Edulf's family are convinced by the miraculous cure of the hermit's sanctity. They carry his remains down the valley, to a place where, having put the load down for a rest, they find it impossible to raise it again. Even a team of oxen brought there with a cart, cannot move the corpse. This, it is decided, is a sign from heaven that Landelin wished to be buried there, and that they proceed to do. They stick the hermit's staff into the grave to mark the spot. It sprouts green leaves and eventually grows into a huge oak tree. The church that was built there, where first anchorites had their hermitage, is the Munchweier parish church of today. There under the mensa of the altar is the tomb with Landelin's relics. The centre of the cult, however, has always been the site of his martyrdom and the wellhouse with the holy sources. Since Landelin's Irish origin is today questioned for no other reason than his name 'sounds Frankish', it would be gratifying to find in the genealogies of Ireland a (F)lann, born around 600, who went abroad on a pilgrimage of no return. Roísín Ní Mheara, Early Irish Saints in Europe - Their Sites and their Stories (Seanchas Ard Mhacha, 2001), 123-127.